litter E is 3 weeks old and litter of has 12 days. Shaman again prooved he is worthy of all our investments. He is not only a freak, who wants to kill everything he meets in a forest, which is the way laikas are presented among laics. 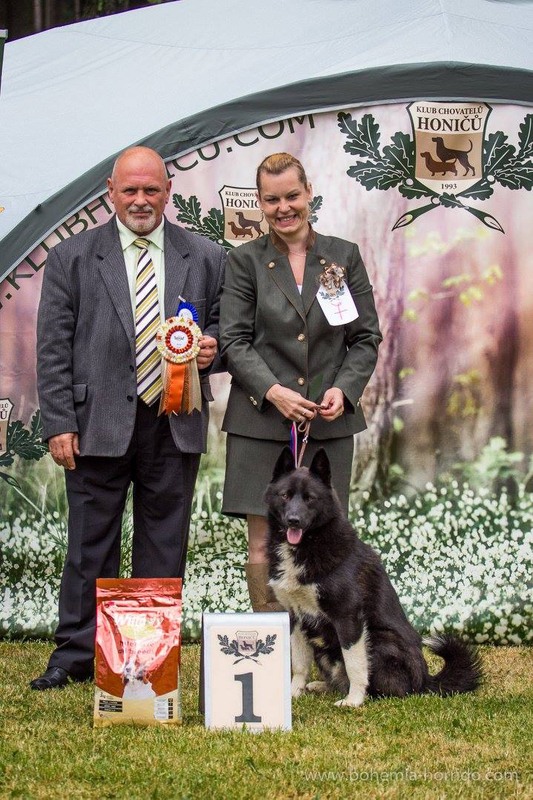 He is also easy to handle and he is a great competitor for other breeds. 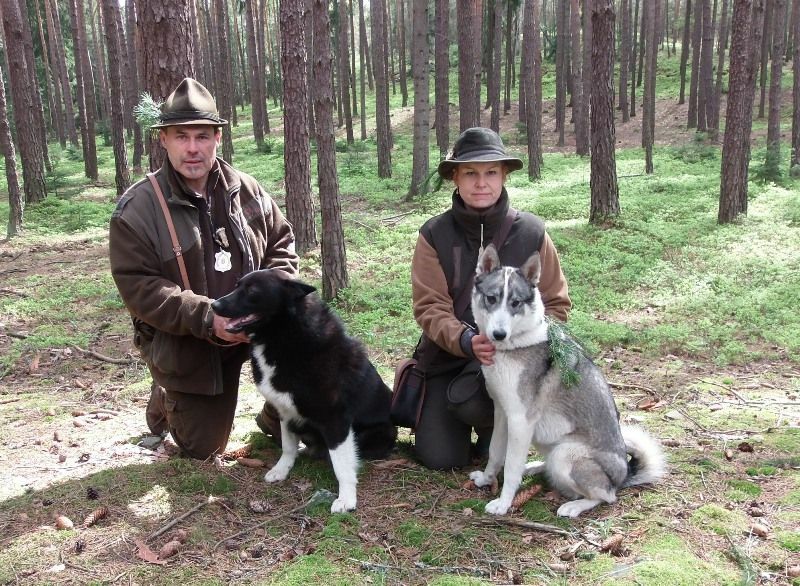 He won two hunting tests within one month with the different handlers and the title "Diviačar" (wild boar) is a cherry on a top of a cake. 16.11.2017 - Puppies by Irma were born. 6.11.2017 - Russianeuropean laika puppies were born. Veronika did it again! 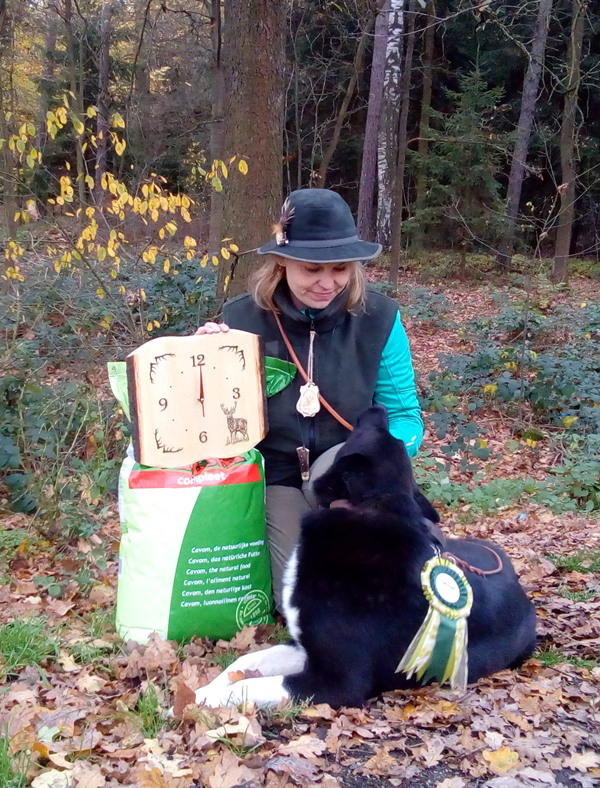 Last year she won the tests with Šerri and this year she did it again with Shaman with full score of points. He is now officially registered as a stud male. 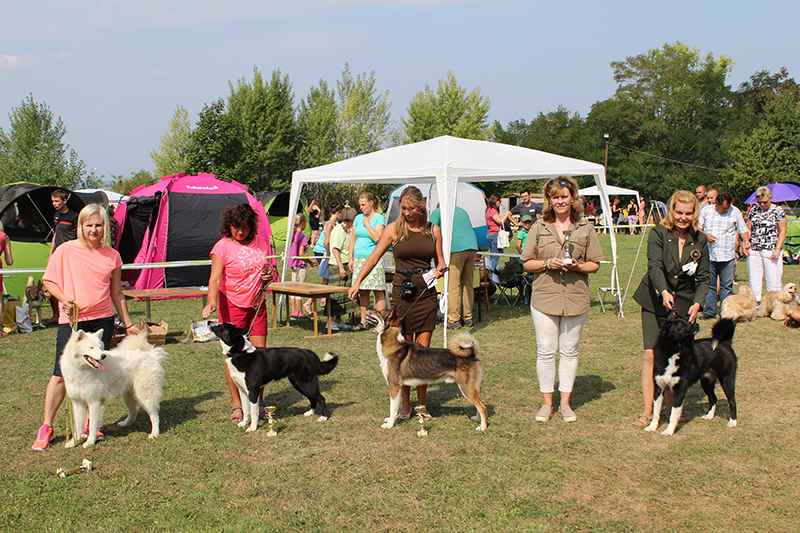 Šerri is the first Russianeuropean laika who is now qualified for C.I.B.!!! 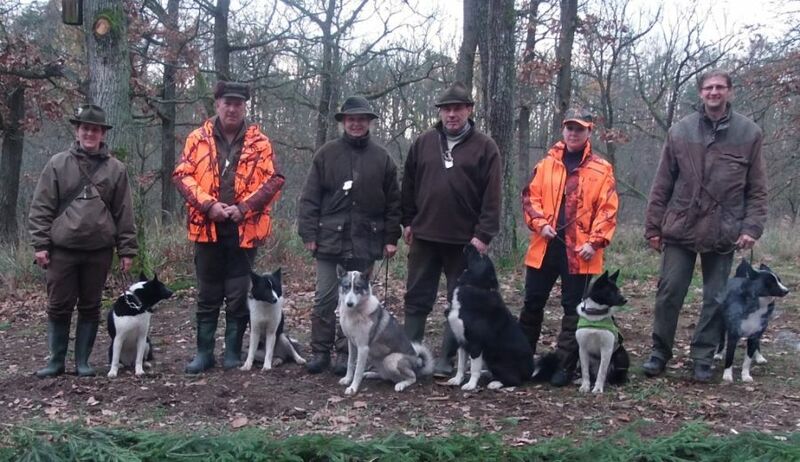 The last hunting season was not according to our plans. 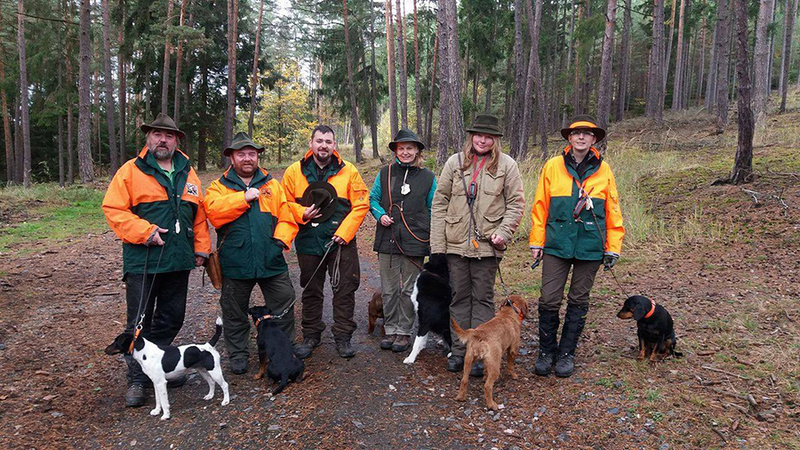 We took a part at only 8 hunts, where 61 wild pigs, 6 deers and 5 foxes wete hunted. We had so many more invitations but as we both chanegd our jobs, we could not take holidays. 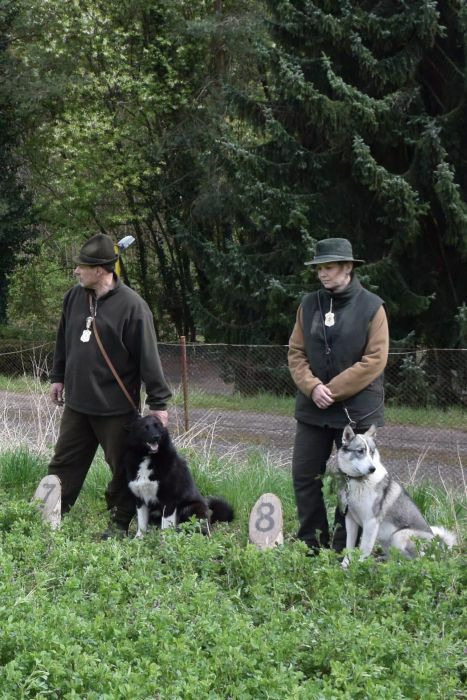 Also Leopold decided to become judge for hunting tests and began to work hard towards it. 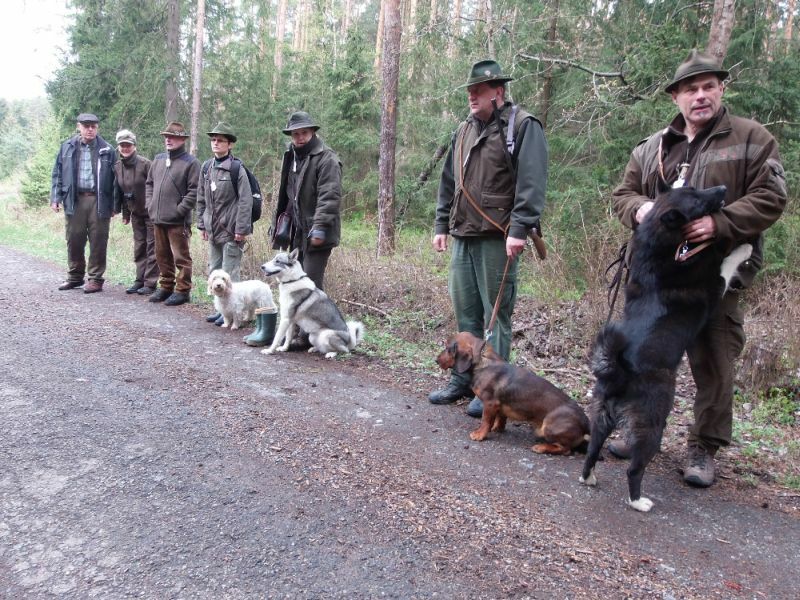 So we had to skip many hunts to which we traditionally went to in the last years. 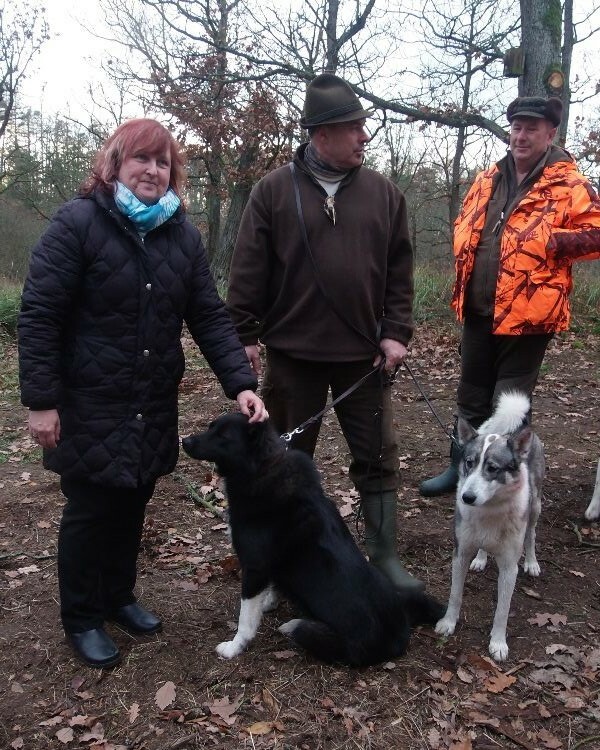 But to be also positive - Šaman went to 6 hunts and prooved himself very skilled hunting dog. 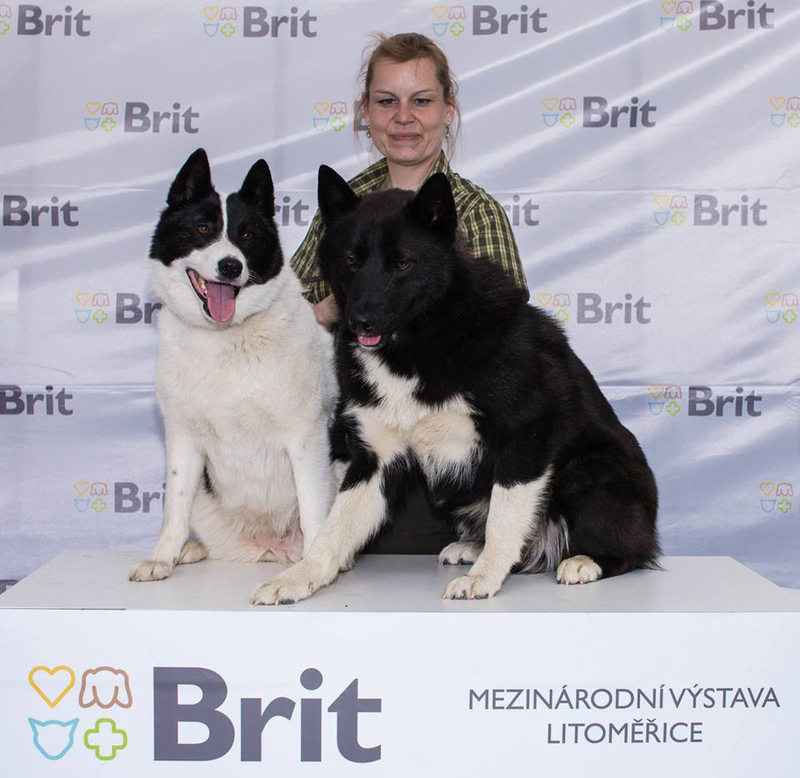 In 2017 we are going to mate Šerri and we will be choosing among stud males T-as, Uran and Šaman if we will manage to register him as a stud male in autumn.